Cast Iron Sauce Pot & Basting Brush Set | Patio and Hearth Co.
Pre-seasoned, 1.5 cup capacity cast iron pot with handle is just the right size for melting butter, warming glazes, and keeping marinades hot. The pot handle serves as a brush rest. The silicone brush head is heat-safe up to 550° F (288° C). 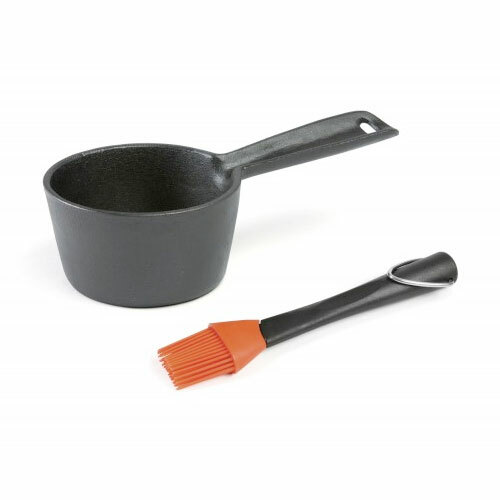 Inquire about Cast Iron Sauce Pot & Basting Brush Set using the form below.